The waters surrounding Northern Vancouver Island play host to many species of fish including salmon and halibut. Many commercial fishing boats leave the wharf of Port McNeill or Port Hardy in the early morning and often don't return until well after sunset. This commercial fishing boat is the prime example. 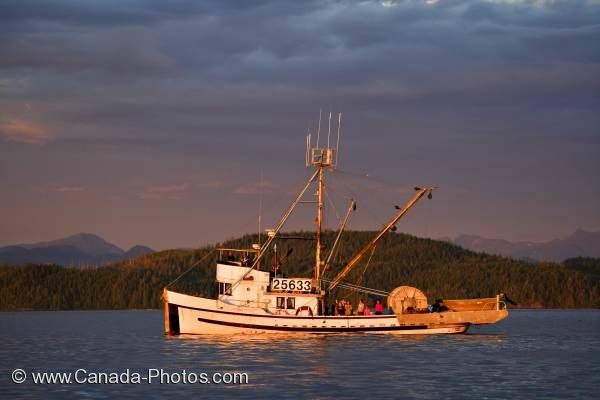 Local fishing boat off the coast of Northern Vancouver Island in British Columbia, Canada.